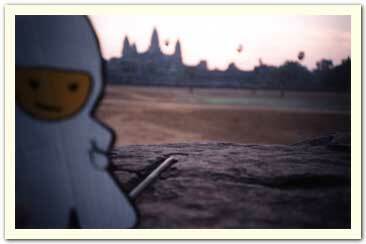 Bumperboy at sunrise with Angkor Wat in the background. March 2004. Photo taken by Pam H.